Norwich will be looking to take top honours when struggling Reading arrive at Carrow Road on Wednesday, says Mark O'Haire. "Since the September international break, the hosts have returned W24-D7-L3. On home soil, City have W14-D1-L2 of late, scoring at least three times in 10 of those 17 games." Championship table-toppers Norwich continued their march towards the Premier League with a dominant 4-0 victory over managerless QPR at Carrow Road on Saturday. The Canaries now need a maximum of 11 points from their final six matches to seal a return to the top-flight for the first time since 2016 after securing an eight-straight success. Daniel Farke's side were 2-0 up inside 12 minutes as Emi Buendia and Marco Stiepermann put City in the driving seat and Championship Player of the Season, Teemu Pukki, stroked in a third before half-time as Norwich threatened to run riot. The game fizzled out after the break, but Buendia was shown a red card for a reckless challenge before Pukki wrapped up the victory late on with his 26th goal of the season. Farke was understandably delighted by his squad's efforts post-match, saying, "We played some excellent football, especially in the first half, scored three goals and could easily have had four or five." Todd Cantwell and Moritz Leitner are pushing for recalls to replace the suspended Buendia on Wednesday night with Mario Vrancic expected to stay on the bench. Reading's recent revival suffered a damaging defeat on Saturday as the Royals surrendered a one-goal lead when going down 3-1 at Hull. The Berkshire boys went ahead against the run of play when Lewis Baker thumped home a brilliant shot from outside the area, but Jose Gomes' men were unable to match a strong second-half display from the hosts. Hull headed against their own post when Reading were enjoying a 1-0 advantage before the break and Royals winger Mo Barrow was denied by a superb save when the game was tied at 1-1. And Gomes was quick to criticise his side for "losing focus" in the opening 15 minutes of the second-half as the visitors fell to only a third defeat in 12 league outings. Gomes had on-loan striker Nelson Oliveira back in his starting XI at the KCOM Stadium just weeks after fearing his season might have been ended by a hamstring injury. The 27-year-old made a minimal impact but remains Reading's most threatening available forward and is expected to retain his place. Meanwhile, Paul McShane is also available again. Norwich have held the upper hand against Reading in recent duels, claiming maximum points in their last four meetings, including a 7-1 shellacking at Carrow Road two years ago. The hosts have also picked up top honours in four of their most recent five encounters with the Royals in Norfolk, although Reading have gotten on the scoresheet in each. Norwich are available to support at just [1.39] as they go in search of a ninth consecutive Championship success - it's the shortest-price the Canaries have been available at all season. Since the September international break, the hosts have returned W24-D7-L3. On home soil, City have W14-D1-L2 of late, scoring at least three times in 10 of those 17 games. Reading [9.60] are just one point outside of the relegation zone, although the Royals have shown signs of life under the current regime. The visitors have W4-D5-L3 in their most recent 12 outings but their road record under Jose Gomes is less flattering with Reading returning (W1-D4-L5) away and failing to score in six of those 10 matches. Ten of the duos' past 11 head-to-head contests have featured Over 2.5 Goals and a repeat is as skinny as [1.63] this midweek. With Norwich notching more than two goals in 11/20 (55%) Carrow Road clashes, the short price is understandable with a far more appealing play available when dipping into Betfair Sportsbook's Same Game Multi market. Here we can support a home victory alongside Over 2.5 Goals for a 9/10 play. 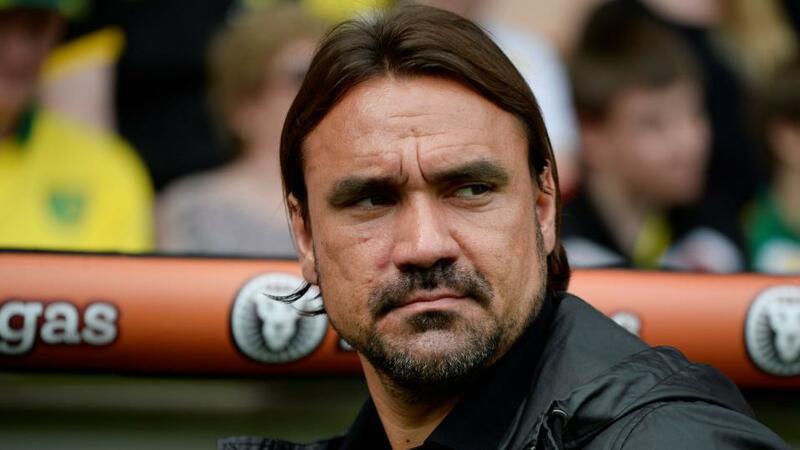 This has proven a profitable formula in 10 of Norwich's 12 fixtures with bottom-eight teams in 2018/19, whilst Reading have been beaten in all six meetings with the top four teams in the Championship by an aggregate 2-16.